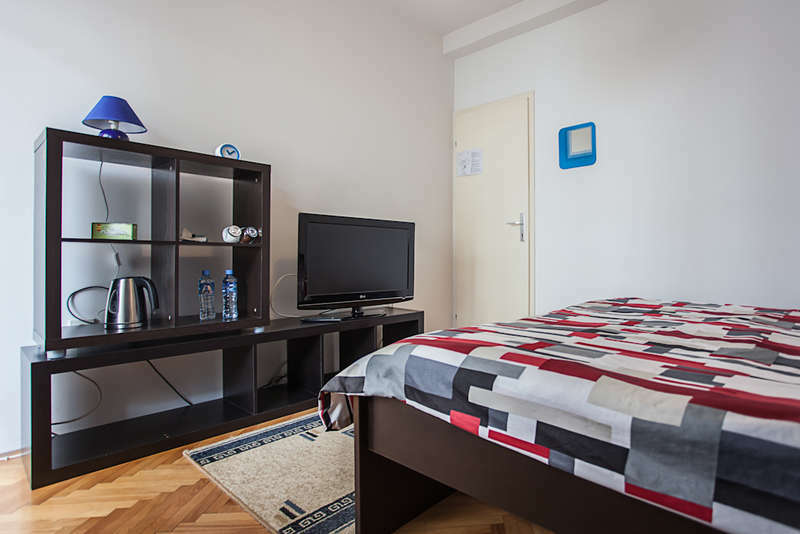 Our hostel can accommodate a total of 54 guests. It offers rooms for 1,2,3 or 4 people and has 4 floors. The rooms are clean, convenient, comfortable and highly affordable with proper spring mattress beds and overlays. Showers and toilets are found on each floor, two of them equipped with jacuzzi. 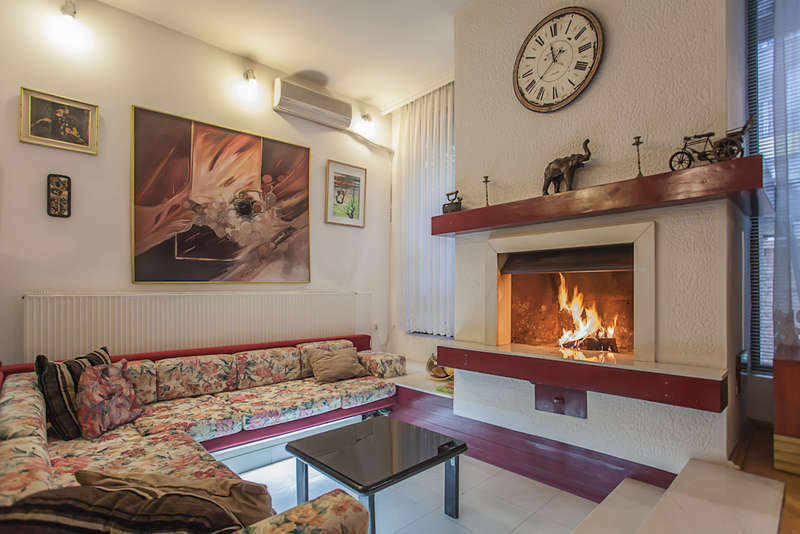 There is full central heating in the building, a multi-purpose room with a WI-FI internet access, laptop, a fireplace, aquarium, piano and a fully fitted guest kitchen. All rooms have WI-FI access and air conditioning. There are two direct bus lines from the Central Station / Bus Station. You can buy tickets from the driver and they cost 35 MKD (ca. 0.50 €) per person. Here you can find the timetable of the public transport in Skopje. Take the lines 15 or 22 and leave the bus on the “Technical University” bus stop. From there, you have less than 5 min on foot. If you decide to take taxi, it will cost you no more than 2.50 € from the city center. 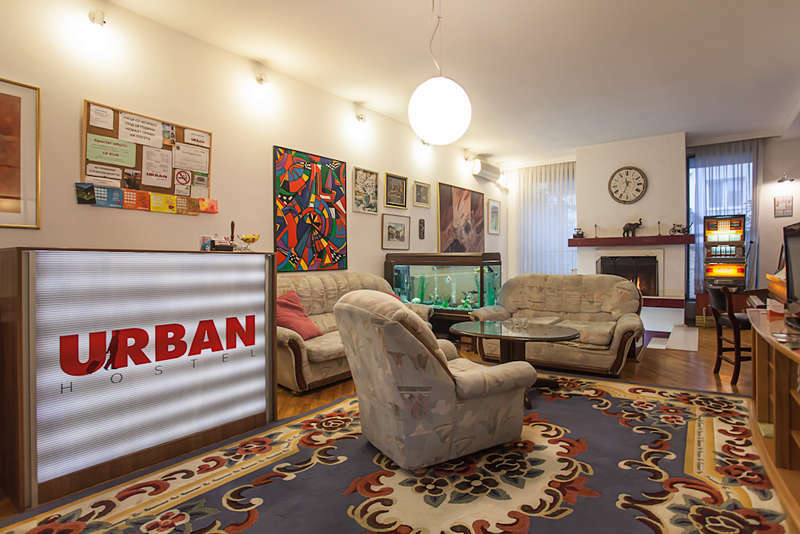 Urban Hostel facilitates the transport from/to the Skopje International Airport. Namely the Hostel collaborates with a taxi company and offers cheaper taxi service from/to the airport (15 €). As an alternative, public transport is available as well. On the following link you can find the timetable of the bus line. If canceled or modified up to 1 day before the date of arrival, no fee will be charged.